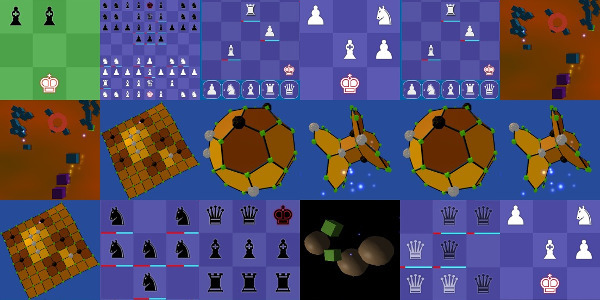 Play it here.. Big chess for 2 players. We create another multiplayer demo for a small game. We create a demo for unlimited number of players, just to test 1 server. We put live a new update that adds collition, some bug fixes, etc. The gameplay for all minigames is affected with this. Play a new map here. Pressing Z will help navigate de map. Second game. RTS like. Beat the AI. We create a RTS like mode for tech demo for our web engine. You must beat the AI. Simple as that. Play here. We create a single player mode for tech demo for our web engine. You must beat the AI and go to level 12, and come back alive. Play here.